I've been writing about testing recently and whether or not to use device test projects or desktop test projects. You can read my view on this in a previous blog post. 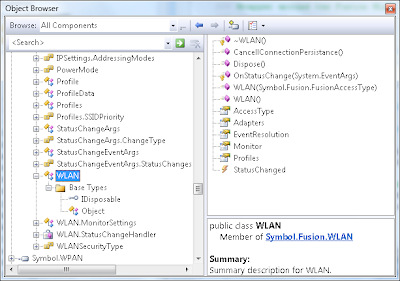 No doubt if you have written code for any of the Motorola rugged devices (or other rugged OEM devices) you might have encountered the EMDK WLAN class (or similar if not coding against the EMDK) - which wraps the low-level mobile specific Motorola Fusion API. This is a prime example of why you should use a desktop test project rather than device project. 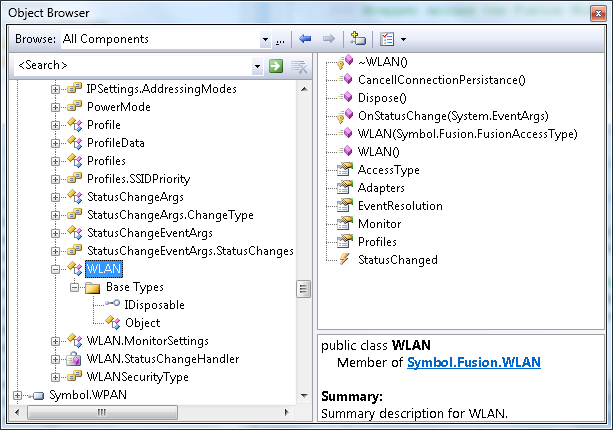 Hang on, you just said the Fusion API can only execute on the device, so don't we need a device test project? No. The reason is simple, again if you have a continuous integration, automated build process setup, your tests will be executing on the build server so you won't be able to execute those tests against a real Motorola device. If you have a device test project, the best you can do is execute those tests on the Windows Mobile emulator - but what will this prove? In this case this is really no different in terms of a test problem than executing them on the desktop. So that is our high level implementation that can be easily extended and contains no low-level mobile code. The adapter in this case is injected and can be anything we want it to be which allows us to test this class easily on the desktop. It simply enables the first adapter it can find. Non-of the real adapter is testable. So if this were a device test project, we'd have to mock out the adapter by hand, then pass it in to the constructor to the MotorolaMC75WLAN class. But as we have decided to use a desktop test project we can use any mocking framework that we choose which enables us free of having to do the laborious hand mocking work. 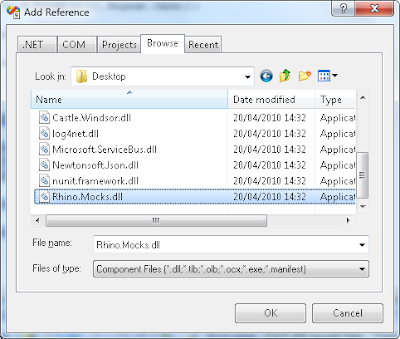 You can download Rhino Mocks from here if you don't already have it: http://www.ayende.com/projects/rhino-mocks/downloads.aspx. 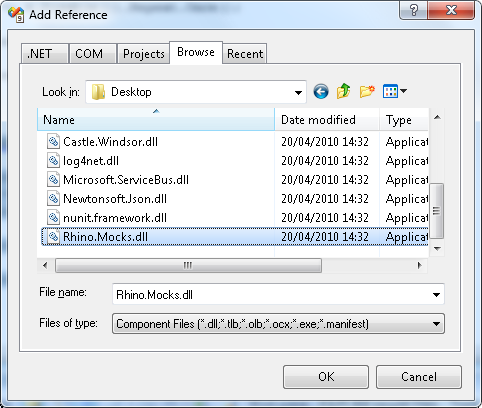 Download the zip and extract it somewhere on your hard disk, then add a reference the Rhino Mocks assembly in your test project - there is only one dll you need to reference. So the only actual thing we are testing here is the real MC75 WLAN class and not the adapter. The code is fairly easy to read. We are simply telling Rhino Mocks to expect exactly 1 call to Enable() when _wlan.Enable() is called. The thing to bear in mind here is to ensure your actual adapter doesn't contain bugs as we can't automate those tests on the build server. There you have it, a true mocking framework put at use in the mobile space. If you want to learn more about mocking frameworks, use Google, there are millions of articles out there on the subject. That is a strange way to make use of stubs. Normally with a stub you return something. With Mocks you assert. That is the main difference. But either work I guess. I suppose I would be confused with your test above as to why you stubbed it and not mocked it. It could have been a mock but with Rhino there is no need if you are just asserting that something was called. Your example was testing that Enabled was called nothing else so it was just a simple Arrange Act Assert. Had you wanted to check that a b and c were called then I would use the expect and verify syntax. Also have a look at NSubstitute, I've been playing around with it for a bit.